These pontoon boat seats make up our Premium CFG73A pontoon furniture set. How tall are your seats from floor to top of back rest, and what is total depth of seat with base? The total height of these pontoon seats are 29.5" from the floor of your boat to the top of the back rest of the seats. 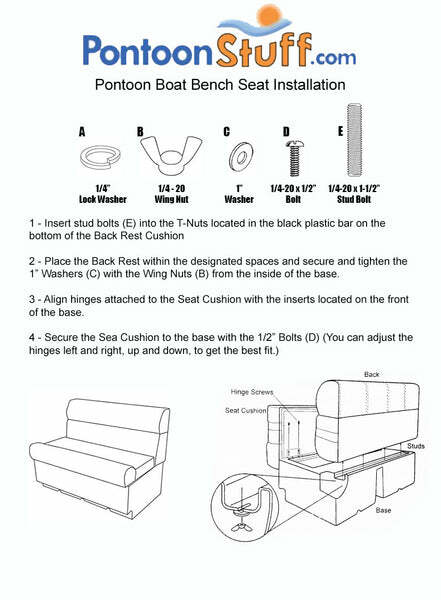 The total depth of these pontoon seats are 24.5". How wide are the seats from the back to the front of the cushion? The seat cushions are 18" wide.